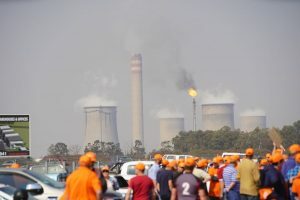 Moneyweb reports that petrochemicals giant Sasol has granted its executives share options worth over R106 million at current prices under its long term incentive plan. The grants, made to 15 directors of the parent company as well as to directors of major subsidiaries, were disclosed to the market last week Wednesday. Joint presidents and chief executive officers Bongani Nqwababa and Stephen Cornell received shares worth around R22,5 million and $1,7 million respectively, with Cornell receiving his in the form of US-listed American depository receipts (ADRs). Chief financial officer Paul Victor received shares worth R12 million. The options vest in two tranches: the first 50% after three years, and the balance after five years. The shares (and ADRs) were awarded on 3 September, at a strike price of nil. For the 2018 financial year, the long-term incentive programme saw executives measured against three Corporate Performance Targets (CPTs): increase in tons produced per head, growth in attributable earnings, and total shareholder return (against three different indices, including the JSE Resi 10). In 2018, they achieved a CPT score of 69%. They underperformed on the TSR (Total Shareholder Return) as well as growth in earnings measures.